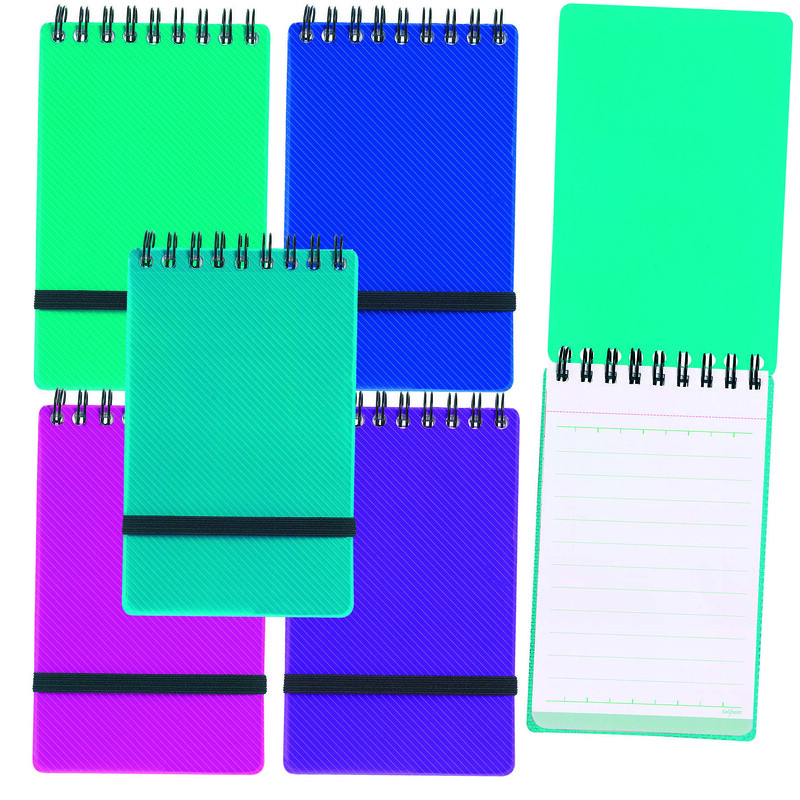 This Snopake Noteguard Notebook is ideal for executive use, with rigid polypropylene covers in bold, stylish Electra colours. The notebook contains 60 pages of micro-perforated, lined paper with a title strip, ideal for to do lists. The notebook also features an elasticated closure for security and is wirebound, allowing it to lie flat. 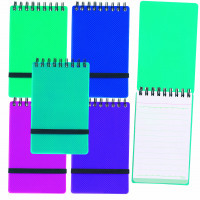 This pack contains 5 notebooks measuring 76x127mm in blue, green, pink, purple and turquoise.